After a few weeks of testing these shoes i can happily report that my love for Asics running shoes is being challenged, by the new Saucony ProGrid Triumph 6, although it only took the first run to be swayed. 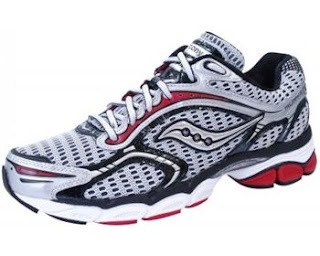 The shoe, which boasts cushioning in both the heel and forefoot is very responsive and lightweight and truly delivers in all areas. 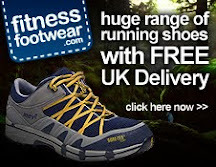 Whilst the fit is perfect from the first time you run in them, the toe box is roomy, as well as a good fit on the heel. The cushioning is perfect. Substantial enough, without feeling that you are running with a mattress on your feet, and the responsiveness gives the feeling that you could almost be running barefoot. The shoe weight (324g) is heavier than racing shoes, but lends itself to both fast short workouts as well as being sturdy enough for LSD runs on a Sunday morning. More suited to the road, however not a stranger to the harder trails and gives a very good ride whatever the terrain. In summary - Saucony Triumph is a perfect shoe for the neutral runner, good fitting and well worth the asking price - Asics beware!!. Couldn't agree with you more (especially after all the 250+km on it). I've bought my 2nd pair (the bright yellow one) as a result. Way to go Saucony!! !